Singapore Carpet Cleaning: Can Dirty Carpets Make You Sick? Can Dirty Carpets Make You Sick? Home safety is a vital factor that every home owner has in mind when either building a new home or buying one. As an important aspect in our lives, home safety governs not only the way our homes are built but also what is installed inside. This is done to ensure that there is no danger posed to family members and guests. Although care is enhanced in how homes are built and what is installed inside, there are some household health hazards that will pass under your nose unnoticed bringing harm not only to you but to your family and guests as well. Can dirty carpets make you sick? Unfortunately the answer is yes. As a home owner, when one thinks about health hazards, carpets are usually the least item. Fire, carbon monoxide, floods and electrocution are some of the hazards that as a home owner, you rank highly. The reason carpets don’t rank highly as a health hazard is because the image home owners have about carpets is that they bring comfort, warmth and style in the house. In reality, a dirty carpet can pose a health risk not only to you but to other family members as well especially if they are left filthy for a long period. While the surface of the carpet may look harmless, the fibers are home to a world of microbes, fungi and other irritants that are agents of various diseases. Below are health issues that as a home owner you are exposed to by a dirty carpet. The skin is the largest organ on our bodies and it helps to protect vital organs in the body from harm. A dirty carpet is known to hoard both living and non living irritants which affect your skin by causing redness, itchiness and even swelling. 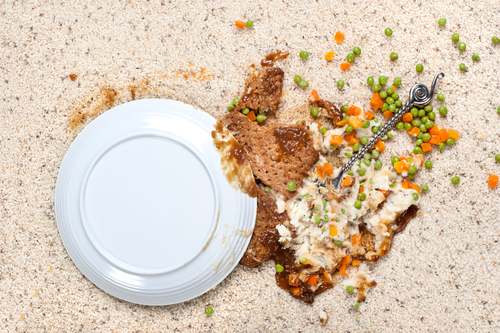 What’s even worse is that other pests and rodents such as roaches and rats are attracted by the dirt particles deeply seated in the fibers of your carpet. These pests carry disease causing agents which you will be exposing your family to. A skin condition that is commonly associated with dirty and filthy carpets is athlete’s foot. This skin condition is caused by a fungi and it usually enters the body by exploiting cuts, scratches and breaks in the skin. The fungi breeds underneath the skin, later leading to chronic itching. Skin asthma attacks are also triggered by dirt and dust that is present in a dirty carpet. Majority of people have asthma that is not related to troubled breathing but instead they get itchy rashes which appear on an individual who has been exposed to asthma triggering irritants. Research has shown that individuals who live in an unclean environment usually have high stress and anxiety levels. Increased stress levels have adverse effects on the body of an individual and it includes weakening immune system which makes one to be vulnerable to diseases. Individuals who have cardiac conditions have been found to be at a higher risk of suffering heart attacks or stroke when stress levels increase. 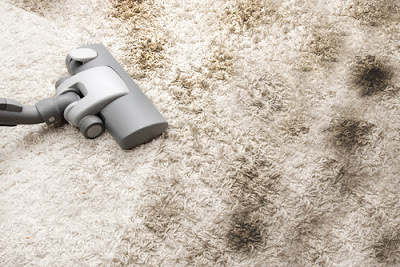 Dirty carpets provide a hospitable environment to tiny microbes that have been found to promote respiratory problems. Dust mites and mold increase rapidly since dirt, pet hair and human skin cells which serve as their food usually accumulate in the carpet fibers and when these organisms are kicked into the air by momentum from walking people and pets, one can inhale them therefore leading to the start of different respiratory problems. Some of the respiratory problems that are as a result of these organisms include coughing, running nose, cold like symptoms, asthma attacks and adverse allergic reactions. Mold that breeds and grows in filthy carpets produces mycotoxins which make the air in the house unsafe to breathe. Prolonged exposure to mycotoxins can lead to nasal irritation finally resulting in neirotoxicity, hypersensitivity and even cancer. Allergies usually occur in the body when the immune system which is a defense mechanism for the body reacts with a foreign substance such as dirt, mold spores and pet hair among others. The immune system produces anti bodies which identify a particular allergen as harmful leading to a reaction whether mild or severe resulting in inflammation of the skin and sinus blockage among others. Individuals who come into contact with a dirty carpet that has accumulated different harmful organisms and they have pre existing allergies, they will suffer an allergic attack. Dust, pet hair, fungi spores and tiny insects are some of the culprits that find filthy carpets to be breeding grounds and hospitable environment for their colonies. Individuals who are susceptible to allergic reactions usually have itchy skin, sneezing and malaise. It is important to vacuum your carpet once or twice in a week. To ensure that the vacuum picks up all the dirt from the carpet fiber, you need to purchase HEPA filters. Before starting to vacuum, you can sprinkle baking soda as it will help to eliminate odor from the carpet. You can hire professional carpet cleaners who have the necessary machines that will help to eliminate deeply seated dirt in the carpet fiber. Steam cleaning is one of the best methods that professionals utilize to eliminate deeply seated dirt in the carpet. 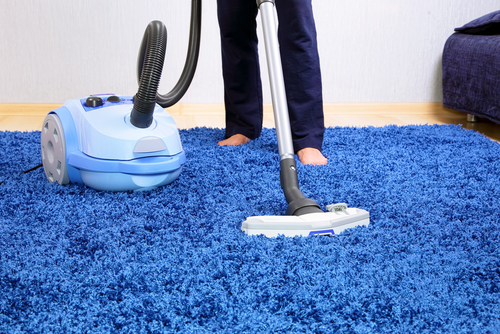 It is highly advisable to have your carpet steam cleaned twice or even more times in a year. Clean spills immediately they have occurred. Coffee, pet urine and wine stains need to be cleaned immediately they have occurred. Start by sprinkling your home made carpet cleaner composed of water and baking soda or even vinegar and then blot using a microfiber cloth or paper towel. You can absorb the moisture from the carpet completely using clean microfiber clothes or you can vacuum too. Have a stylish shoe rack built by a professional or you can build one yourself if you have the skills and tools. Place the shoe rack on your front porch and request family members and guests to remove their shoes and place them on the rack each time they are home. This will prevent dirt, dust and other organisms that are stuck on the shoes from staining the carpet.